A family getaway for surf, laughter, and relaxation. WhiteSpace Architects recently completed a 2,200-square-foot oceanfront North Shore residence for a local family of avid surfers to enjoy on the weekends. An original home on the 6,700-square-foot property was built in the 1940s, but WhiteSpace’s team – led by founder (and surfer) Pip White – essentially re-built the three-bedroom, two-story residence. 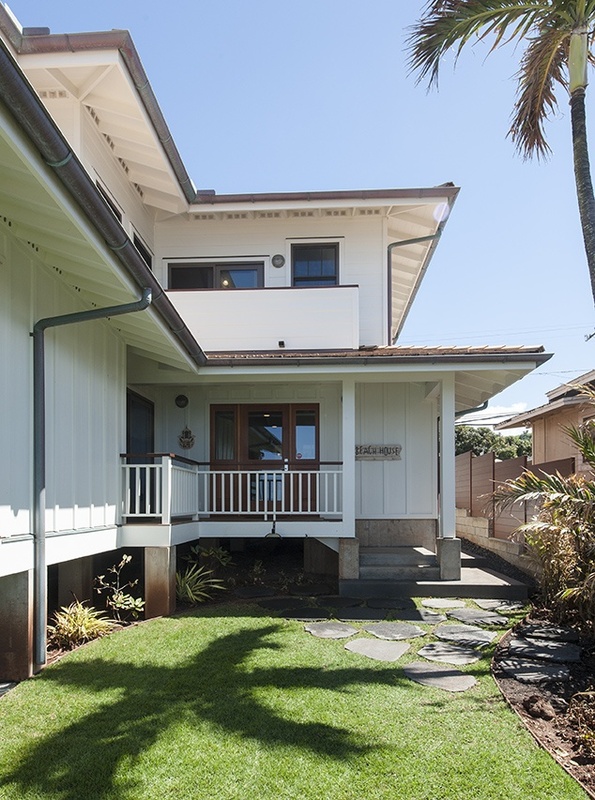 The family’s goal was to create an inviting beach house with a two-bedroom ‘ohana unit for its extended family to enjoy. As always, WhiteSpace’s mission was to help the client achieve its dream through superlative design. 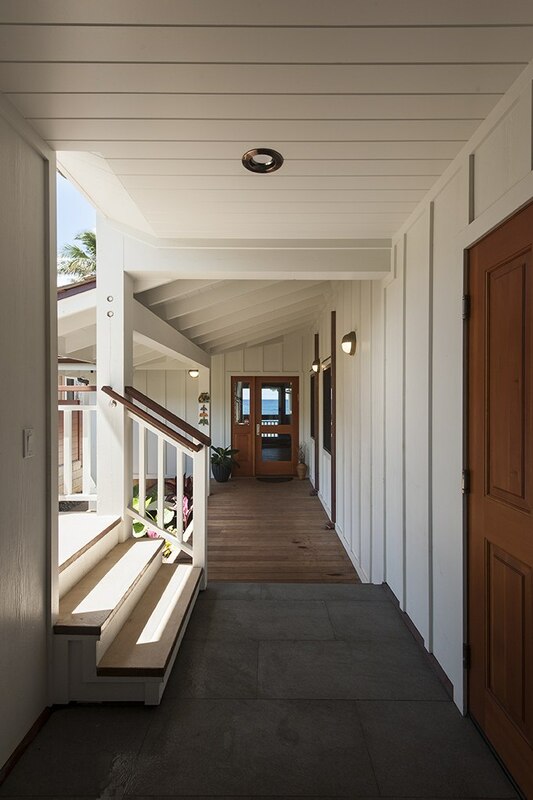 With the home’s location and the family’s ocean-centered lifestyle, WhiteSpace incorporated thoughtful features like outdoor storage custom-made for surfboards, while utilizing appropriate materials, given the oceanfront location. 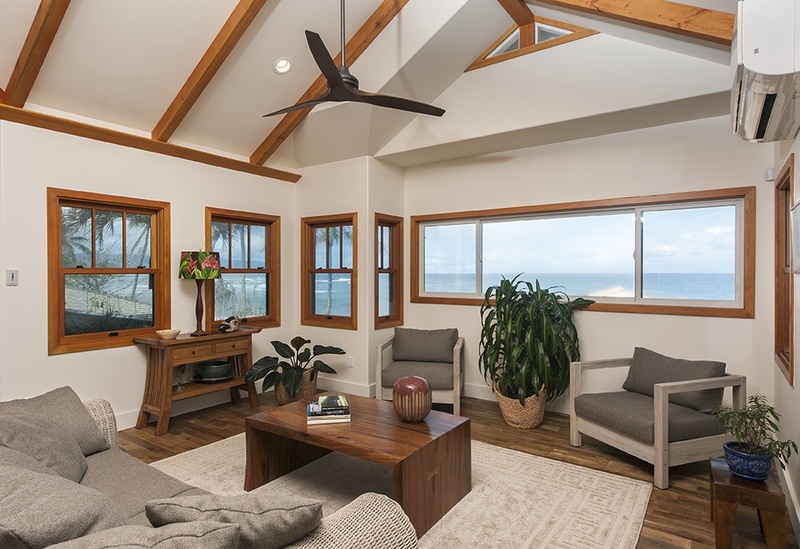 Living areas with oversized picture windows were placed on the second level of the home to take full advantage of ocean views, while double-hung windows throughout let in light and cool tradewinds. An open kitchen was designed as the heart of the whole living space. Living and dining areas are intimately connected with that kitchen to allow for casual gatherings and the togetherness that the family so desired for its weekend getaway. The first floor allows for festive gatherings just steps from the ocean. The family initially had wanted a home for weekend getaways, but found that it was so well-detailed and well-built that they are actually drawn there much more often. 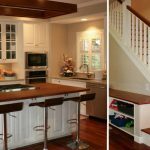 The general contractor was Trent Johnson, who was raised on the North Shore himself and has over 30 years of experience building custom homes. To celebrate this year’s 35th anniversary of the founding of WhiteSpace Architects, principals Philip “Pip” White and Laura Ayers are seeking a worthy local 501(c)(3) non-profit to receive 35 hours of its pro bono architectural design services. Depending on the organization’s needs, WhiteSpace Architects can provide professional architectural guidance on a number of design issues including assessment of existing facilities/safety and maintenance recommendations, master planning, conceptual site planning and programming. The 35 hours could be used at the organization’s convenience any time before the end of 2019 as WhiteSpace hopes to assist a local 501(c)(3) non-profit during its 35th year. A simple online application can be found at whitespacearchitects.com/about/community. For more information, non-profits are invited are invited to contact info@whitespacearchitects.com. Our own founder and principal Pip White was featured on March 18 on Hawaii News Now, sharing his version of “Kupuna Wisdom.” Please visit HI Now to learn more about the lessons that he has learned over the course of his 71 years (to date)!